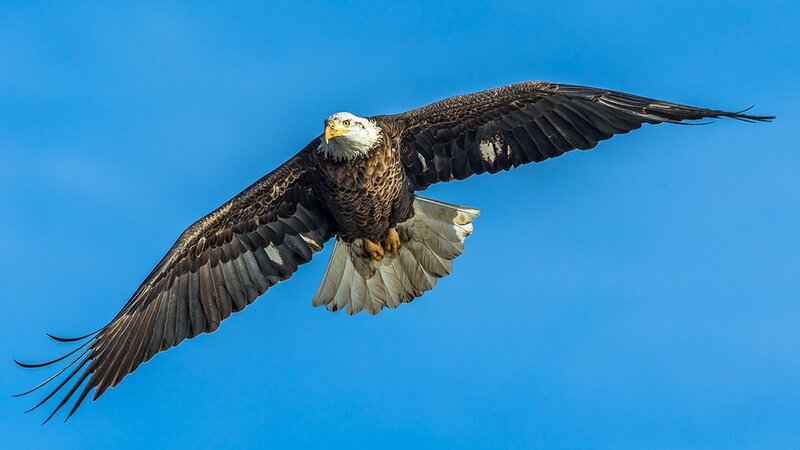 A few weeks ago, photographer Josh Feeney told me that he knew of a bald eagle nest not far from O’Hare. He had seen a pair of adult eagles. The female never left the nest, suggesting there were eggs. I jumped at the chance to take a look. Feeney and I decided to make a full day of looking for eagles. We were joined by Field Museum ornithologist Josh Engel, and went first to the Lake Calumet area, where there have been many bald eagle sightings this winter. There we were joined by Walter Marcisz, who has been birding in that area for more than 50 years. He finds the return of bald eagles thrilling. While the Lake Calumet area is best known for heavy industry, it has long provided excellent habitat for wildlife. Recent restoration efforts have made the area even more appealing to birds, including the bald eagle, many of which are stopping here during their migration north. Then, we head north ourselves, to “Josh’s nest.” It’s in Busse Woods, a Cook County Forest Preserve in Elk Grove Village. There we met Forest Preserve Chief Biologist Chris Anchor. It’s roughly a mile and a half walk to the nest. The area was once a great blue heron rookery with about 180 nests. All those trees are down now and the nests are gone – except for the one that this bald eagle pair has moved into and made their home. May 24, 2016: Since 2003, a group called the Chicago Bird Collision Monitors has made it their mission to collect birds that have been killed or injured after striking buildings and other structures.